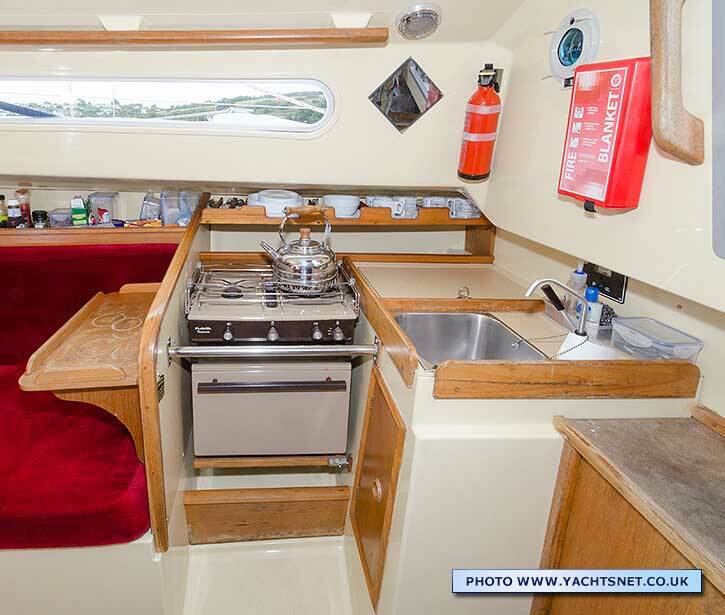 The Sadler 26 is a small family cruiser with a good turn of speed, and 'unsinkable' foam-filled twin-skin moulding construction. 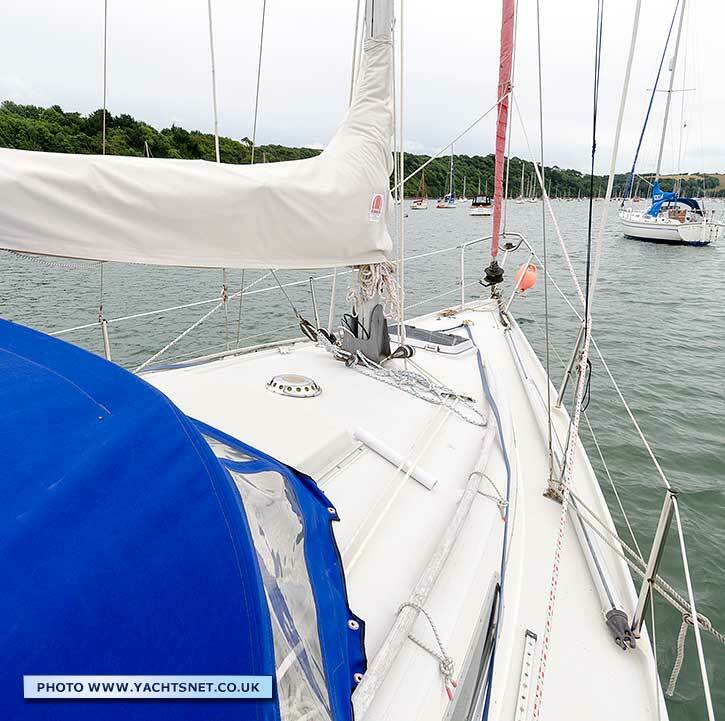 This attribute was tested by a well known yachting magazine by sailing her with seacocks open: they found she continued to sail and be stable even when filled. 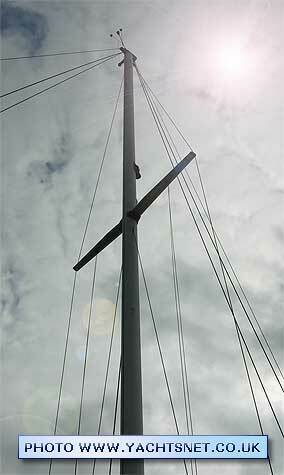 Most boats were fin or bilge-keeled, but drop keel and tandem (Collins) keel variants were also built. 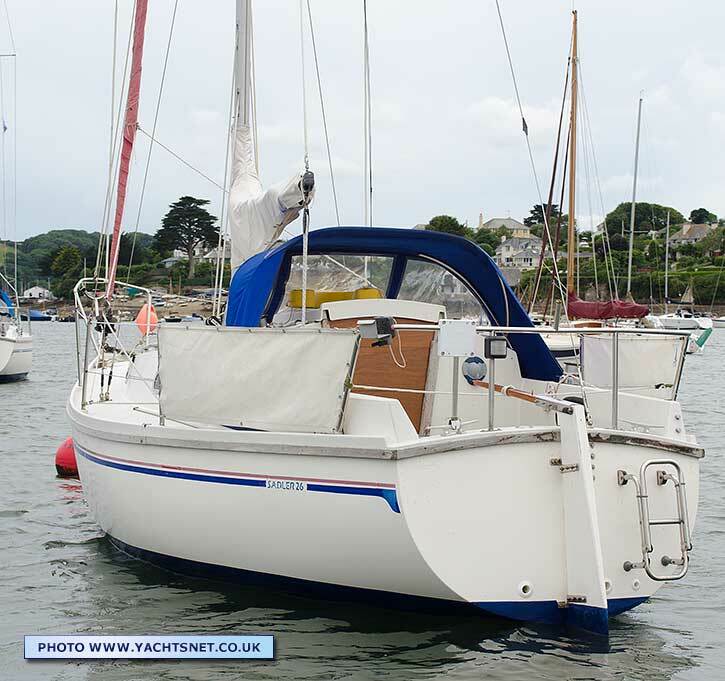 The Sadler 25 was designed by David Sadler in 1974 as a more modern and spacious replacement for Folkboat style yachts such as the Contessa 26. 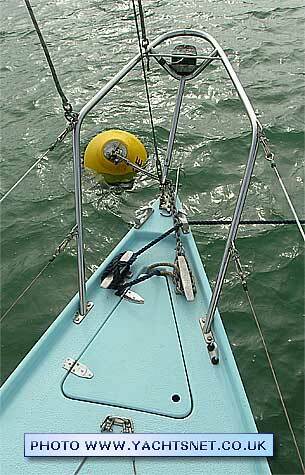 The design quickly became popular, and one did well in the 1980 singlehanded OSTAR transatlantic race. 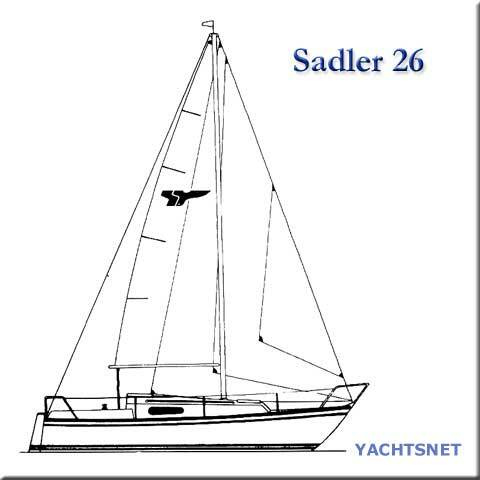 In 1981 the enlarged Sadler 26, which also featured 'unsinkable' construction, was designed by Martin Sadler, David's son. 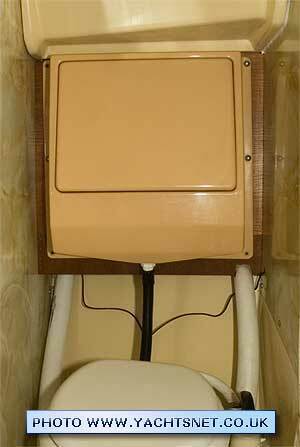 About 200 Sadler 26s were built between 1981 and 1988, when Sadlers went into administration. 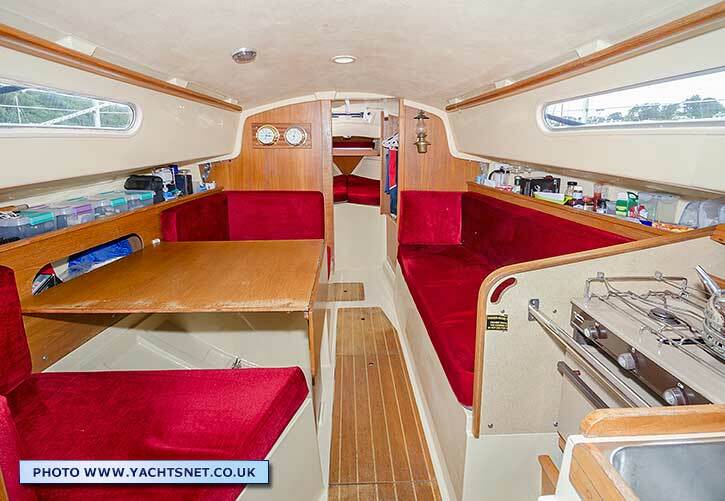 You will occasionally see Sadler 26s listed as built after 1988: these must be owner-completed "kit" boats where the owner has taken some time to complete the fitout. 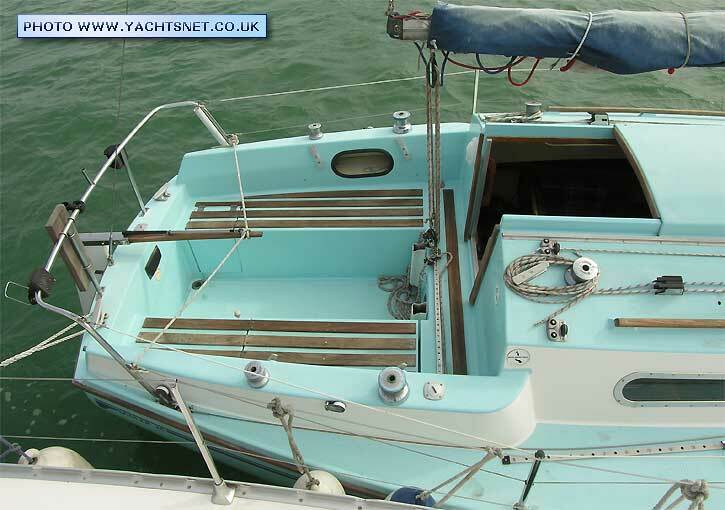 The Sadler 26 hulls are GRP with a full GRP inner moulding, the space between these shells being filled with injected polyurethane foam, making the assembly both stiff and unsinkable. 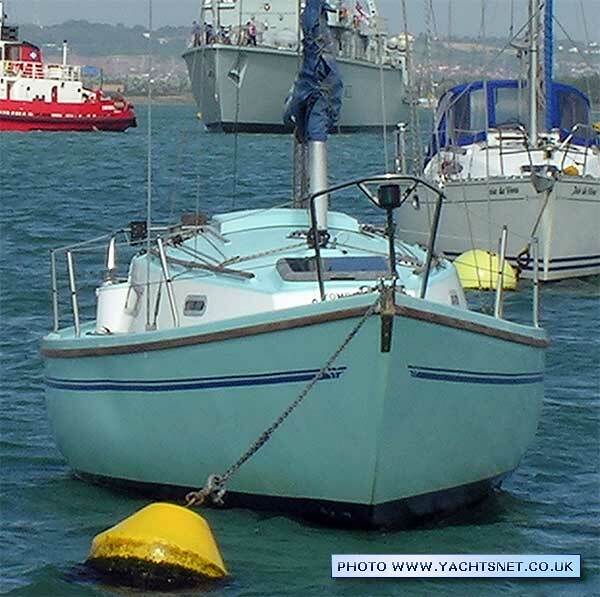 The downside to this is that as these boats age, some examples may be found which have absorbed some water into the foam, making them more prone to osmosis. 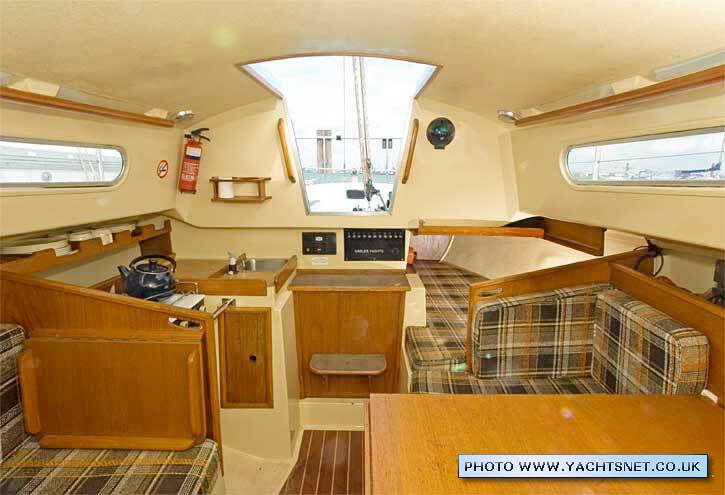 Like any yacht which sails well, these boats have always attracted owners who sail them hard, and this is often reflected in a lot of wear and tear. 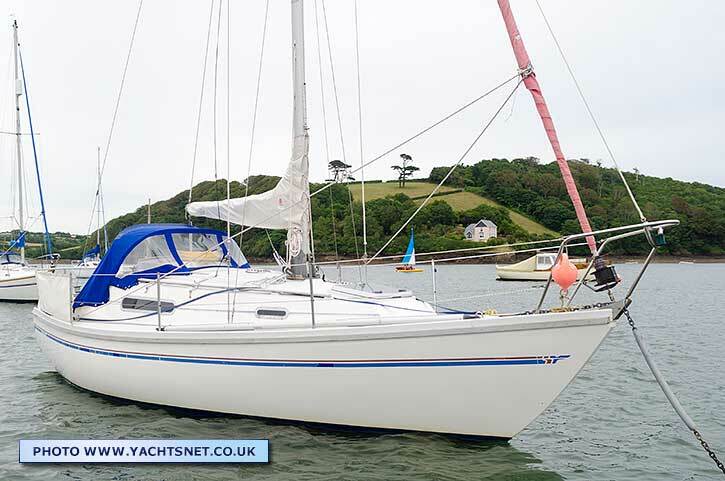 Sailing performance of both Sadler 25s and 26s are excellent, a fin-keel version 26 completing the very tough 1985 Round Britain Race, which many bigger boats failed to finish. 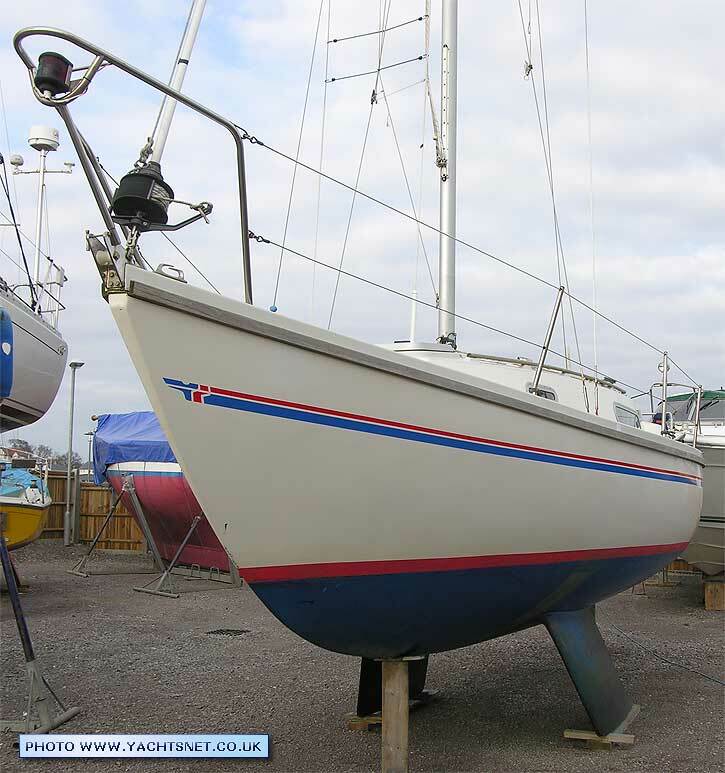 Many more bilge-keel versions were built than fin-keelers, however, although the performance of these bilge keel yachts is still good, the twin keels being fairly deep and well designed. 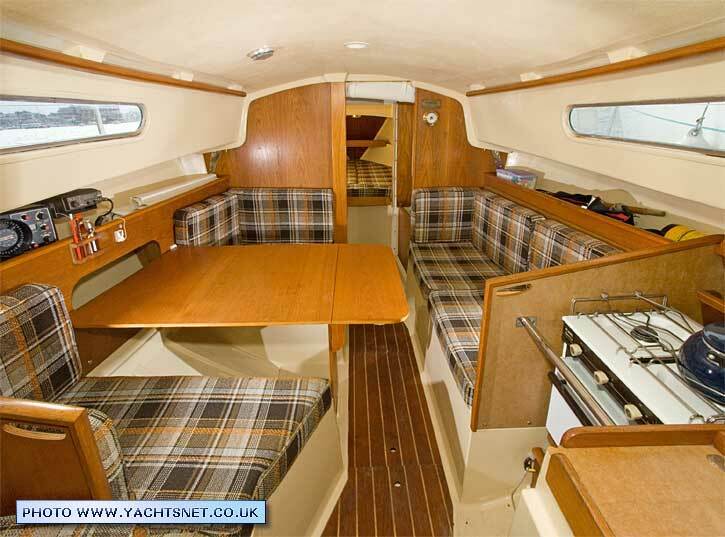 The design dates from before the current fashion for aft double berths in even small yachts, allowing a hull form which offers excellent handling. 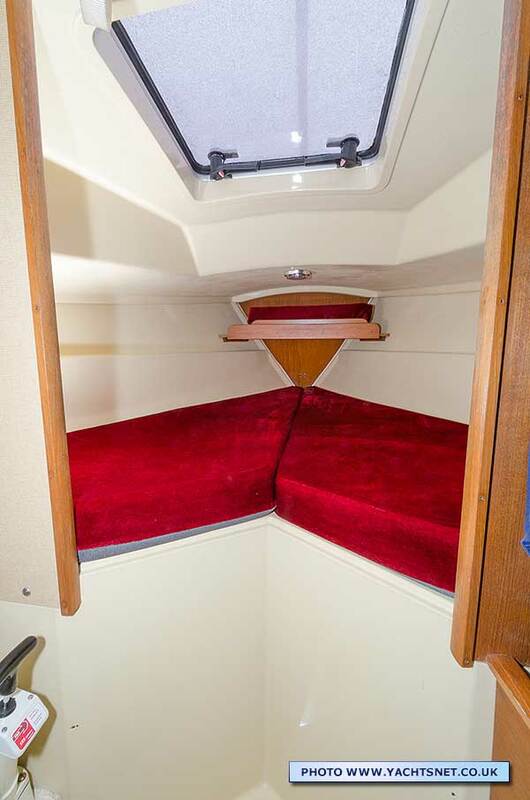 There are up to six berths, with a heads compartment between forecabin and saloon. 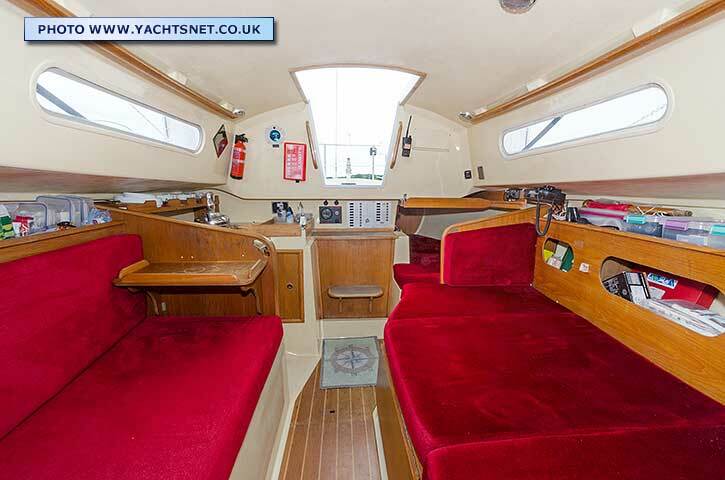 The saloon has a dinette to port, converting to a small double berth, and galley to starboard, by the companionway. 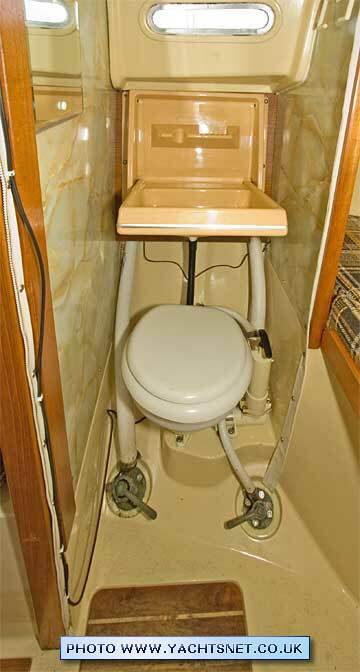 A quarter berth is tucked in aft of the dinette to port. The accommodation works well, though she would be very cramped if six actually tried to live aboard! 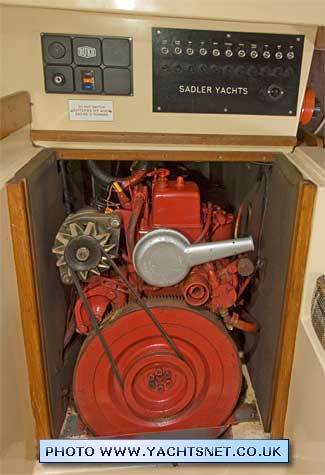 Whilst the earlier Sadler 25 was first sold with the option of inboard or outboard power, Sadler 26s were normally inboard engined, initially with a Bukh diesel, as shown here at left. Later models were fitted with Volvo 2001 or 2010 engines. It is fairly common to now find early boats re-engined with Beta, Nanni or Yanmar engines which are often physically smaller yet more powerful than the 8-10 hp engines originally fitted. 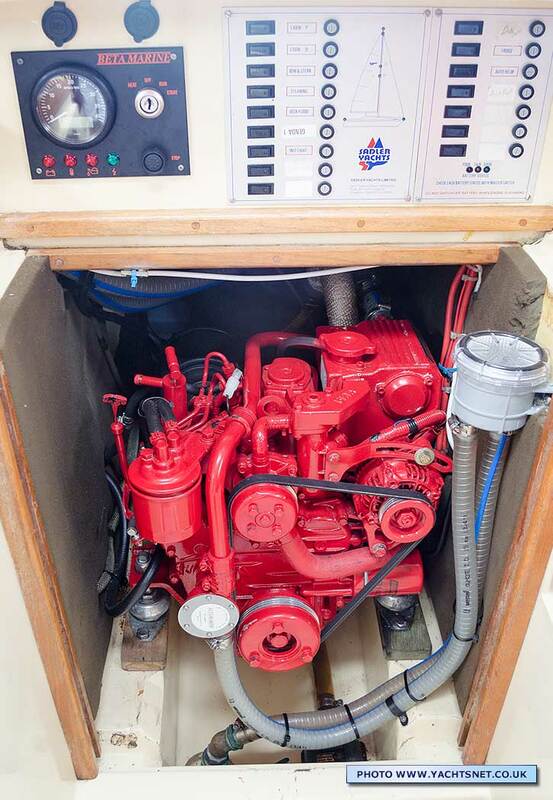 The photo above shows a 14 hp Beta installed as a replacement.